The Hawaiian Islands are filled with fun activities, breathtaking views and many other ways to escape the hustle and bustle of our daily routines. 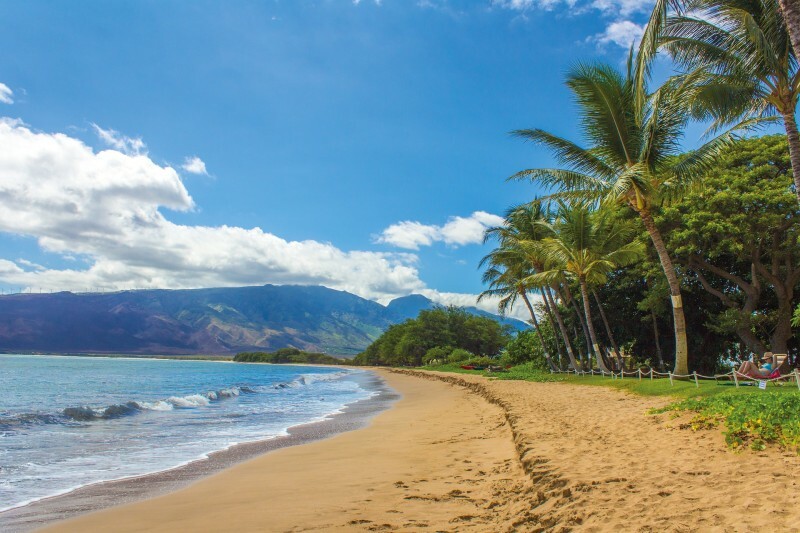 There is so much to do during your Hawaiian vacation that you might have to come back for a second trip, so you can truly experience all of what Hawaii has to offer. You can’t travel to Hawaii without taking part in an authentic Hawaiian Luau. According to Boss Frog’s Luau Guide, prior to 1819, men and women did not share meals together in Hawaii, as it was seen as sacrilegious and therefore, was not socially accepted. It wasn’t until the first luau that King Kamehameha I rid the ancient tradition by inviting women and his common subjects to eat with him. This one act of kindness started an incredible tradition that Hawaiian natives and tourists have grown to be quite fond of. The name “Luau” was originated from the most enjoyed dish at King Kamehameha’s feasts, lu’au, which is chicken and young tender leaves of taro baked with coconut milk or cream, a dish that is still served at luaus today. A luau feast consists of roasted pulled pork, poke, which is different pieces of seasoned raw fish, poi, which is taro root that is cooked and mashed into a pasty substance and much, much more. Poi is definitely an acquired taste. Luaus always have a fun and exciting vibe and are a must-do, whether you are visiting Hawaii for the first time or the tenth time. People dancing at a Luau. Photo via wikipedia user Ralawami. Old Sugar Mill Chimney in Koloa. Photo via wikipedia user Joel Bradshaw. The Old Sugar Mill in Kōloa is located on the Island of Kauai and is home to the Ladd & Company sugar plantation, which was founded in 1835. The plantation was the first large-scale sugar manufacturing enterprise be to a success in the Hawaiian Islands. The fertile soil and mild climate made Hawaii a flawless spot to grow sugarcane. Although the company was a success, Ladd & Company went out of business in 1845. The government repossessed the sugar planation and mill and although the mill went through a few different owners, it officially closed in 1996. Today, the remains of the sugar mill are open to visitors, along with sculptures of those who were a part of the sugar industry in Kōloa. On December 7, 1941, the first battle of World War II started, after the Japanese attacked Pearl Harbor. The attack only lasted a mere 2 hours, but the aftermath was catastrophic. The attack was directed at the Pacific Fleet of the United States Navy, as well as the Army Air Corps and Marine Air Forces. The aftermath of the attack resulted in 12 American warships and 188 aircrafts being destroyed. 2,403 American servicemen and 68 civilians lost their lives that day. 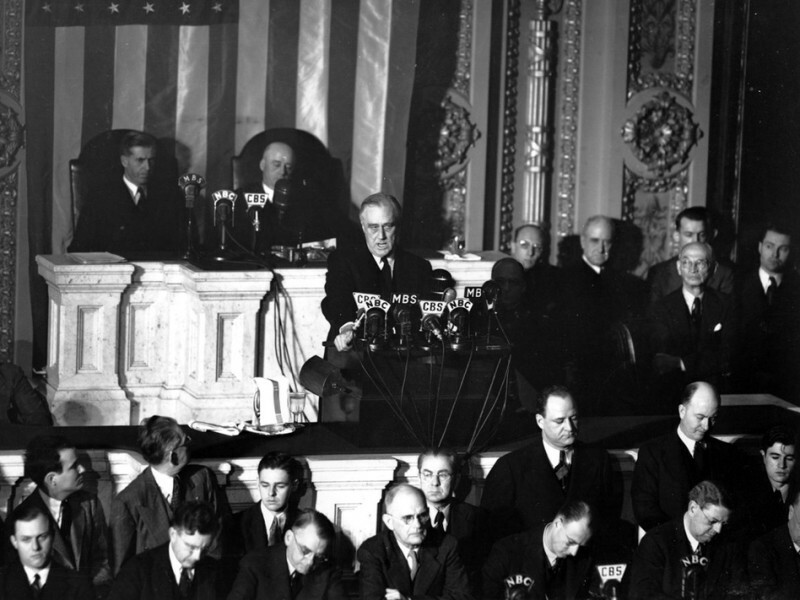 The day after the attack, President Roosevelt asked Congress to declare war on Japan. President Roosevelt was successful in convincing Congress. The Senate voted for war against Japan 82 to 0 and The House of Representatives approved the decision by a vote of 338 to 1. On December 10th Germany and Italy, Japan’s allies, declared war on The United States. 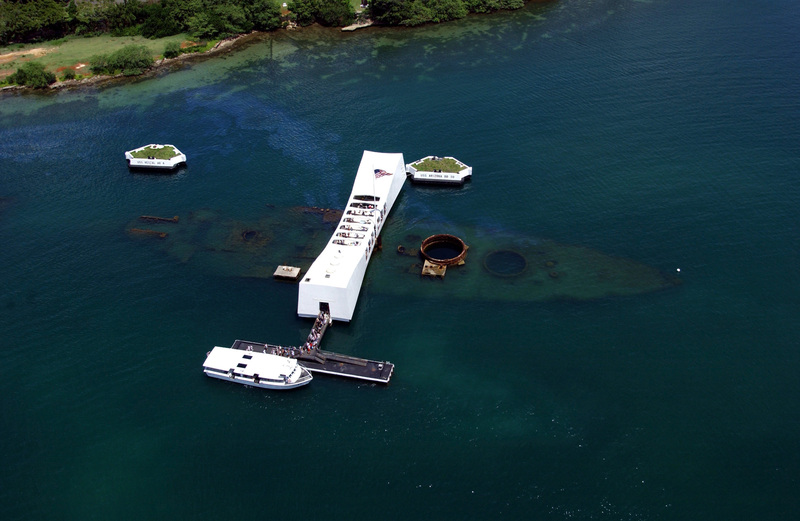 You can visit the site of the Pearl Harbor attacks at the USS Arizona memorial. The Arizona was sunk by Japanese bombers. A bomb detonated in the powder magazine killing 1,777 sailors. The memorial straddles the ship, still underwater to this day. USS Arizona Memorial at Pearl Harbor. Photo via wikipedia. Oahu’s North Shore is a favorite for surfers to frequent during the winter months and catch that perfect wave again and again. But the North Shore of Oahu means much more to Hawaiian locals than just killer waves and astonishing views. On February 28, 1779, Captain Charles Clerke of the HMS Discovery, who was accompanied by Captain James Cook, anchored his ship in Waimea Bay. Captain Clerke and his crew were not expecting to find islands as high as the Hawaiian Islands North of the Pacific Ocean. According to TurtleBayResort.com, this date was marked as the first time a European had touched Oahu soil. The North Shore has also been the filming location to a variety of films and television shows such as Lost, Hawaii Five-0 and Forgetting Sarah Marshall. Next time you travel to Hawaii, remember to take in the historic aspects of what the different islands have to offer. Of course Hawaii is the place to go for rest and relaxation, but the history of the state offers so much more. You’ll leave the island with so much knowledge on the tropical paradise and a smile on your face from all the fun you had. Visit the islands main tourism board for more information.